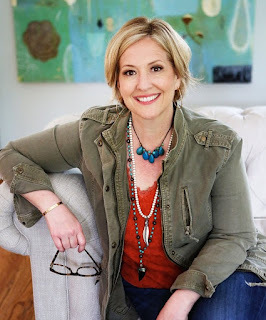 Author Brené Brown, Ph.D., LMSW, studies human happiness and the things that destroy it. 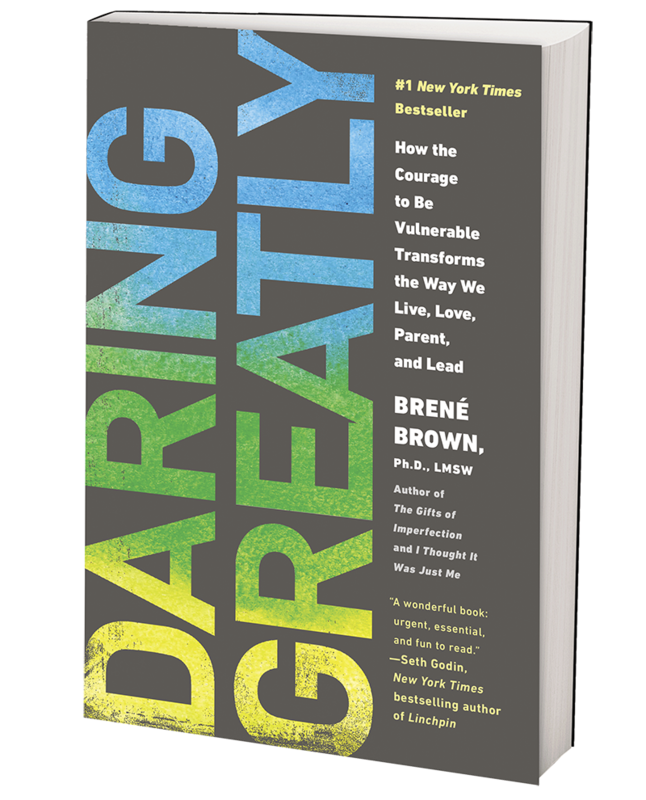 In "Daring Greatly," Brené teaches us the danger of shame and the pursuit of perfection and encourages us to courageously embrace ourselves and others—imperfections and all. Erika, our host, encouraged us to come to book club “as we are.” We showed up in what we felt most comfortable in, whether it was sweats, pajamas or our favorite jeans and t-shirt. We each brought a plate of something we love. Donuts, Swig cookies, Brussels sprouts, chips and dip, pasta salad were just a few of the favorites that showed up. Erika and Jennifer did a great job of exploring vulnerability with us and asking questions that caused some major introspection. 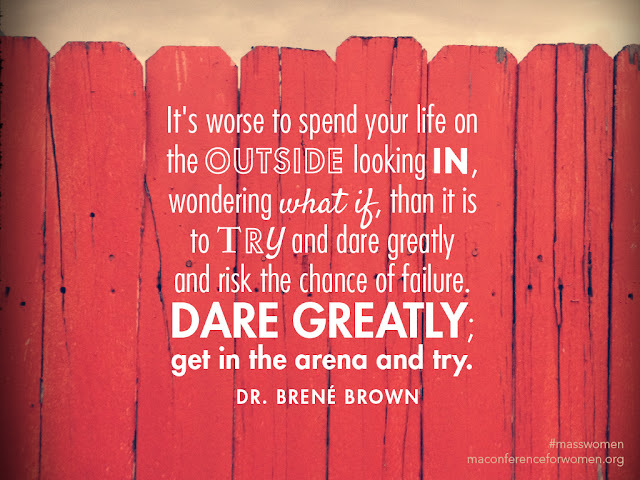 We watched this Ted Talk by Brené, which is a good summary of the points she addresses in "Daring Greatly." Brené writes that “perfect” and “bulletproof” are seductive, but they don’t exist in real life. In Brené’s studies, she classifies people who are resilient to shame and who believe in their worthiness as “The Wholehearted.” She found that Wholehearted people have a sense of love and belonging simply because they believe they are worthy of love and belonging. And they believe that what makes them vulnerable is also what makes them beautiful. We talked about the shame-based fear of being ordinary that we face in our generation and culture. It’s hard not to compare ourselves to the perfect-looking women, their perfect children, their perfect houses and their thousands of followers on social media. Sometimes, we let ourselves see that image of perfection as the standard when it shouldn't be. We reminded ourselves that when we see someone or something that makes us feel bad about ourselves, we’re often comparing our weaknesses to their strengths. Also, how we react to what we see online can be a reflection of our own insecurities that we need to address, instead of thinking that others are out to make us feel less than. Instead of focusing on how our lives look compared to other peoples’ lives, we want to focus on being present with the people in our lives and creating real, meaningful relationships with them. The people who love you despite your vulnerabilities (and because of them) are your true friends. Brené keeps a small card with the names of people whose opinions matter to her. It reminds her not to listen to or get caught up in how everyone else sizes her up. We each took a moment to write down who is in our own “Wholehearted Tribe.” Who is on your list? Since our book club is full of moms, we especially loved the "Wholehearted Parenting" chapter. We decided our job as mothers is not to create perfect children. It is to accept them as they are and teach them that they’re worthy of love and belonging. It’s important to own our mistakes in front of our children so they know it’s OK to mess up and that they are still good and worthy. In conclusion, we agreed that when we are willing to share our stories and our vulnerabilities, it throws a lifeline out to someone else who is struggling and needs to know they are not alone. “We all have light and dark within us. What matters is the part we choose to act on. That’s who we really are." It takes courage to allow yourself to be seen as you really are. But the reward is a life of authenticity, peace, and love. Dare greatly, friends! 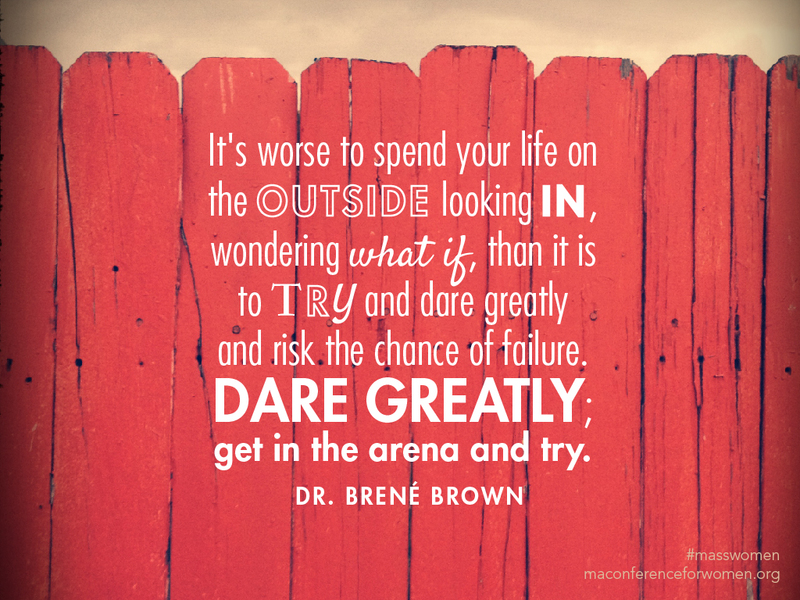 Read more about Brene Brown and her work here. 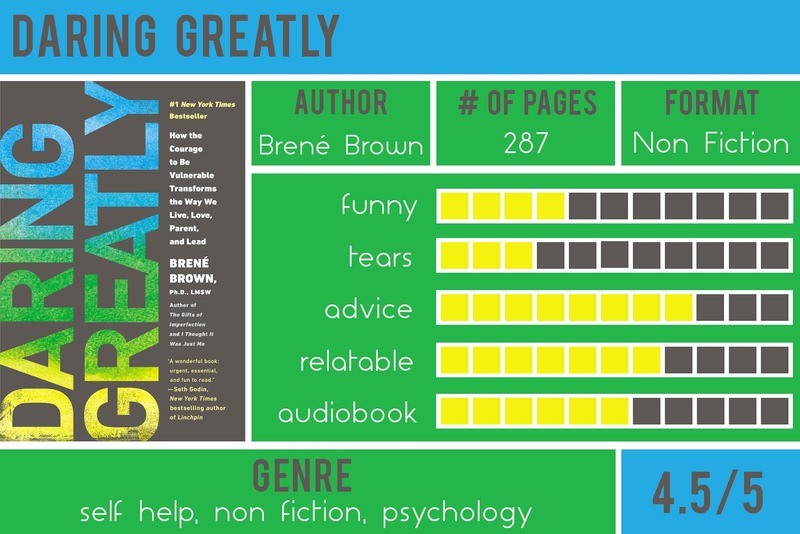 Check out our Book Club Ideas too. I'm so sad I missed this meeting, but I'm halfway through the book on my own and finding SO much to think about and work on!